Earn up to 6,232 reward points. Wheels, extra protection, temparature controlled. Using world-beating double molded construction, the Deluxe case has 148 sqare inches of firmer cushion padding to give even greater shock absorption than Hiscox Standard case. Upholstered in a luxury quality crush velour, the case is finished with 2 hand-stitched leather shoulder handles. This case additionally comes on two wheels at the base and a recessed pulling handle, making transportation easy. 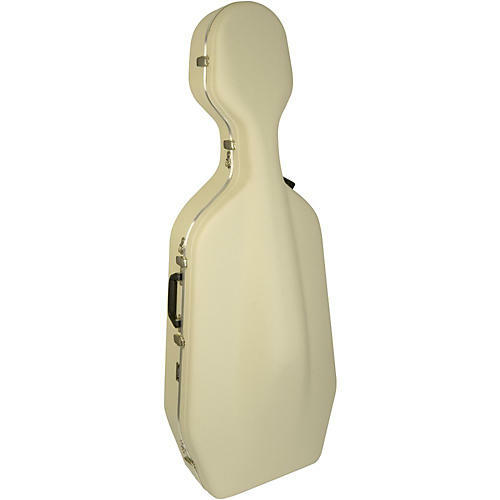 As with the standard cello case, the Ivory shell is a higher specification than the Black, giving even greater impact resistance. The case includes 2 bow holders in the lid and 2 heavy duty carrying straps. Give your fine instrument the protection it deserves.